The Redmi 7 series would replace Xiaomi’s current budget offering — The Redmi 6 series. Xiaomi is all set to launch the Redmi 7 series in China on March 18. The smartphone would be launched with the Redmi Note 7 Pro which has already been launched in India. Xiaomi confirmed the launch date of Redmi 7 in China after Lu Weibing, General Manager, Redmi shared details on Weibo. Weibing uploaded a poster that revealed the design of the Redmi 7 and also the different colours options it would be available in. According to the poster, the device would have a dot-notch display with a full-screen bezel-less design, and a thick chin at the bottom. The rear panel would have a dual camera setup and a fingerprint sensor. Slashleaks had reported the specifications of Redmi 7 as listed on TENAA. As per the report, the Redmi 7 would sport a 6.26-inch HD+ Display; Snapdragon 632/636 SoC clocked at 1.8GHz. The phone would have RAM and storage options in the combinations of 2GB + 16GB, 3GB + 32GB, and 4GB + 64GB with expandable storage options via microSD. The dual camera setup at the rear will have a 12MP primary sensor, and the front camera would have an 8MP lens for selfies. The device would have a 4,000 mAh battery and would run on Android 9 on top of the company’s MiUi 10. The Redmi 7 series would replace Xiaomi’s budget offering — The Redmi 6 series. 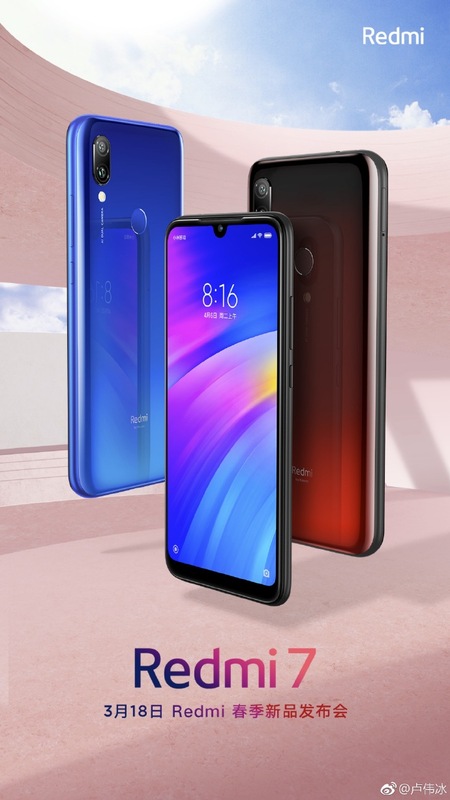 The Redmi 6 is offered in three variants including a Pro version. The phones have a bigger notch, smaller displays ranging between 5.45-inches and 5.84-inches. The phones are priced between Rs 5,999 and Rs 10,999 in India. 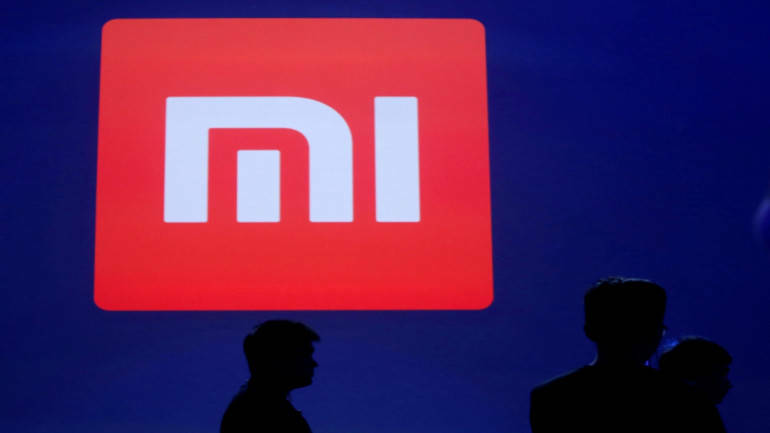 Although Xiaomi has not confirmed the launch of Redmi 7 in India, looking by its past market trend, the smartphone would be launched in India soon after China.